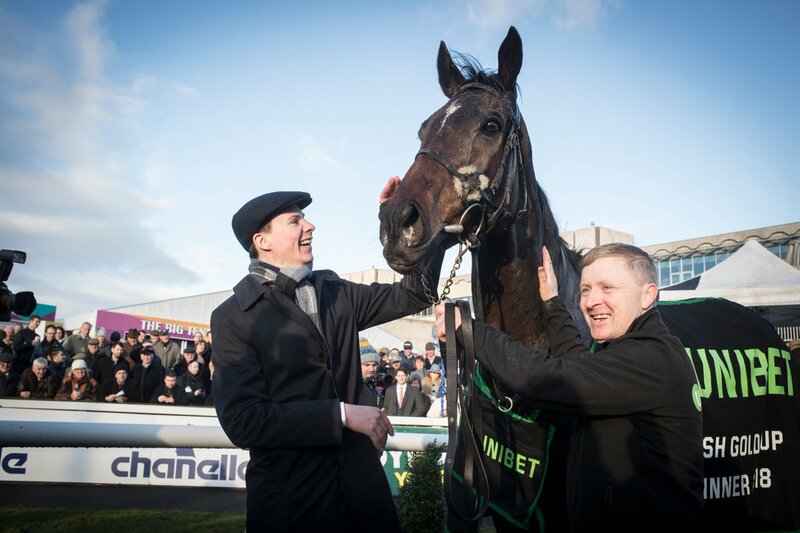 Joseph O’Brien pictured with his brother Donnacha (left) during day one of last year’s Festival. Rated 89, he won twice as a juvenile and has shaped well without winning this season. Has improved with each of his three starts thus far, culminating in an impressive victory in a winner’s race at the Curragh earlier this month. Rated 96, he won a maiden at Dundalk in February and showed much-improved form to win a handicap at Navan earlier this month. Rated 92, he won a maiden at Dundalk in April and showed improved form to finish a close second in a Listed race at Navan in May. Rated 99, he was formerly trained by Andre Fabre and made a winning start for O’Brien in a conditions race at Dundalk in May. He was narrowly beaten in a similar contest on his latest start. Made a highly-promising debut when a never-nearer second to Invasion Day at Cork in May. Rated 102, she won a maiden at Dundalk in March and has finished in the frame in stakes company both before and since that win. Rated 101, she won a maiden at Dundalk in January and produced her best effort since when second in the Derrinstown Stud 1,000 Guineas Trial at Leopardstown in May. Rated 106, he was formerly trained by Marco Botti for whom he won a maiden at Ascot and a Listed race at Doncaster. He has run very well without winning in his two starts since joining O’Brien. Joseph O’Brien has enjoyed a highly-successful season over jumps thus far, but with the Flat season about to kick off, he is understandably excited about the months ahead for his big team of horses on the level. He was good enough to guide us through the pick of his squad for the campaign ahead. Rated 86, he won a maiden hurdle in October and made an encouraging return to the Flat when third in a handicap at Dundalk in March. An unraced colt from the family of Miesque. Rated 89, he won a maiden at Limerick in June and ran out the impressive winner of a handicap at Naas in November. Rated 94, she won a nursery at Leopardstown in October and went on to finish second in a Listed race at Newmarket. Rated 92, she won a maiden at Down Royal and a nursery at Leopardstown last season. Rated 101, she won four times last season including a Listed race at Limerick in October. Rated 88, he has improved with each of his starts and made it third-time lucky in a seven-furlong maiden at Dundalk in February. Rated 96, he made it second-time lucky when winning a mile maiden at Navan by eight lengths in October. Rated 66, she won a maiden at Down Royal for Eddie Lynam last season prior to being bought by her current connections for €23,000 in February. Rated 89, she won a maiden at Killarney in August and shaped with promise in a Listed race at Naas in October. Made a highly-promising debut when a never-nearer second to James Cook in a maiden at Leopardstown in October. Formerly trained by Andre Fabre, he won at Lyon Parilly in May and went on to run well in stakes company prior to changing hands in the autumn. An unraced gelding that was formerly trained by Criquette Head-Maarek, he has been entered for the Vintage Crop Stakes in April. Rated 88, he made it 11th-time lucky when winning a maiden at Dundalk in December. Rated 106, she finished fourth in both the Queen Mary at Royal Ascot and the Cheveley Park Stakes at Newmarket. Rated 100, he won a maiden at the Curragh in 2016 and finished third in a Listed race back at that track last June. Rated 119, he progressed strongly as a three-year-old, winning the Ballysax Stakes at Leopardstown, the Curragh Cup and the Melbourne Cup. The winner of a maiden at Dundalk in January, she shaped with some promise when sixth in a Listed race back at that track in March. Rated 104, he was formerly trained by Marco Botti for whom he won a maiden at Ascot and a Listed race at Doncaster. Rated 100, he won a maiden at Dundalk in April and a Listed race at Naas in May last season. Rated 75, he was formerly trained by Andrew Balding to win a maiden at Kempton in October prior to joining his current connections for 16,000gns. It's an exciting day for the yard tomorrow with six runners at Cheltenham. Everything is going well with Edwulf and we are very excited about running him in the Gold Cup on Friday. 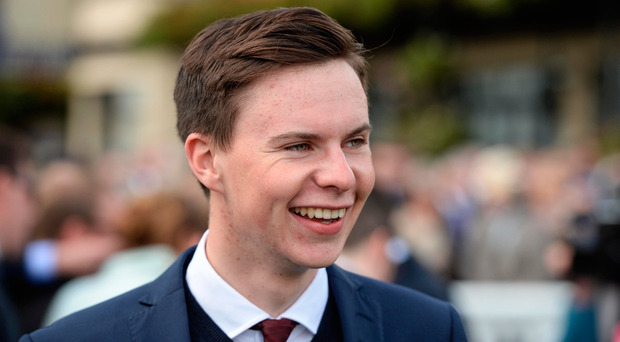 Joseph O’Brien’s rise up the training ranks in less than two years with a license has been quite remarkable to witness. Having already sent out the winner of the Moyglare Stud Stakes and the Melbourne Cup on the Flat, he secured his first two Grade 1 victories over jumps at the Dublin Racing Festival at Leopardstown in February with the highlight being the emotional victory of Edwulf in the Irish Gold Cup. In his latest column, Joseph gives us an update on all of his entries for the four days of Cheltenham. A 140-rated hurdler, he has won two of his four starts over hurdles including a Grade 3 novice hurdle at Naas. A 164-rated chaser, he came back from a near-death experience at last year’s Cheltenham Festival to secure a dramatic victory in the Irish Gold Cup at the Dublin Racing Festival at Leopardstown. A 120-rated hurdler, she has won twice over hurdles and most recently finish third in the Spring Juvenile Hurdle at the Dublin Racing Festival. A 145-rated hurdler, he won the Triumph Hurdle at the Cheltenham Festival in 2016, but has been well below his best this season. A 140-rated hurdler, he won his first three starts over hurdles during the summer, but has disappointed on softer ground since then. A 129-rated hurdler, he has progressed steadily over hurdles this season, most recently running below form in the Coral.ie Hurdle at the Dublin Racing Festival. The wide-margin winner of a bumper at Thurles in December, he subsequently finished second to Blackbow in a Grade 2 bumper at Leopardstown in February. A 146-rated hurdler, he produced a career-best effort when winning the Galway Hurdle in July, but has been below that form since. A 142-rated hurdler, he broke his maiden over hurdles in the Grade 1 Nathaniel Lacy & Partners Solicitors Novice Hurdle at the Dublin Racing Festival. A 136-rated hurdler, he has won two of his three starts over hurdles, most recently finishing second to Duca De Thaix in a Grade 3 novice hurdle at Limerick’s Christmas meeting. I’m sure there were plenty of trainers that had it much tougher than us around the country, but it was a definitely a testing week for the team here. The road leading up to our yard is quite steep and narrow, so once the big snow drifts settled on it, access was a problem. What we ended up doing was that the staff parked down in Owning village and we ferried them up and down to the yard with a tractor and trailer. Fair play to all the team here, as everyone that had any prospects of making it safely into work, made a big effort to do so and thanks to that we had very close to a full squad every day. The weather that we had last week creates all sorts of issues within a racing yard. Our water pipes froze, so a lot of time was spent hauling buckets of water around to the horses to make sure they had enough at all times. I don’t think we’ll ever take automatic water troughs for granted again! There was a lot of snow to be cleared and surfaces to be made safe just so that the horses could be taken out of their boxes. The gallop was also a big concern and we had a rotating crew of people manning the tractor and harrow all night every night to try and keep it useable. When all was said and done, we managed to get all the horses out onto the gallop every day and were able to maintain their routines as best we could. I know it has almost become a cliché for trainers to deflect praise from themselves onto their staff, but there couldn’t be better examples of the importance of team efforts within racing yards than those that kept the show on the road all over the country last week. It really was a herculean effort from all the staff here and thanks to them, the horses we are hoping to run at Cheltenham didn’t have their routines interrupted too much. We can’t be sure how many runners we’ll have at Cheltenham yet as a few of them will be touch-and-go to get into the handicaps, but the number is likely to be between six and 10. Plans are in the process of being finalised at the moment and the first of them are likely to leave the yard here on Sunday. It’s a very exciting time for all of us here. All we can aim to do is get them down to the starts of their races in the best shape we can and after that, it will just be a case of hoping for the best. Horse racing betting is about to get even better at Matchbook with the news that two of the very brightest young stars in the sport in Joseph O’Brien and Bryony Frost are joining the Matchbook stable as our latest horse racing ambassadors. The hottest names in racing are linking up with racing’s hottest exchange to give you exclusive insights throughout the year to help you bet smarter. Still just 24 years of age, O’Brien has already won the Derby twice as a jockey as well as the Irish Gold Cup and the Melbourne Cup as a trainer among a host of other achievements. He’s the trainer everyone wants to hear from and he will be giving you exclusive advice, insights and commentary only here at the home of 0% commission where winners are always welcome. Even younger at just 22, Bryony Frost has been a revelation in her first professional season in National Hunt racing. In December, she became only the second female jockey to win a Grade 1 aboard the exciting novice chaser Black Corton and the pair will team up at this year’s Cheltenham Festival in the RSA Chase. With her talent in the saddle being complimented by her infectious enthusiasm for the sport, there couldn’t be a better representative for Matchbook racing. “Becoming part of the Matchbook team with Joseph is incredibly exciting. We’re the next generation in the sport and the partnership feels like a perfect fit as we’re all in the early stages of our racing careers! I’m looking forward to seeing how we all progress together,” Frost said. Both O’Brien and Frost are very well placed to give you the inside line on both the Flat and the jumps and you now can read and listen to their views exclusively on Matchbook. They will be sharing their extensive knowledge on Insights and the Matchbook Betting Podcast in a range of innovative content. O’Brien will be providing in-depth previews on the major racing festivals starting with Cheltenham and will be making regular appearances on the Matchbook Betting Podcast. Matchbook will also feature a range of exclusive content from Frost as she continues to dazzle the racing world. Both her and O’Brien will appear in exclusive video content later this year as Matchbook looks to take you as close to the action as possible. Having surged into the top 10 trainers on the Flat in Ireland in his first full campaign in 2017, O’Brien currently sits in third position in the National Hunt trainer’s championship in what is his first full season in that sphere. For her part, Frost has gone from a virtual unknown to Grade 1 winner in just a year and will be one of the most closely-watched jockeys at Cheltenham. Just as Matchbook is the next generation of betting exchange, these two individuals are the next generation of racing. As is the case with Matchbook, you sense from both of these high achievers that the best is yet to come from them. So whatever you do, don’t miss the chance to hear, read and learn from these two stars who are setting the horse racing world on fire.